As you would expect, Soldiers, troops, veterans of US Service Departments have lots of memories deep in their minds about their days serving our country. In many regards, these memories are the glory days whether they are good or bad recollections. 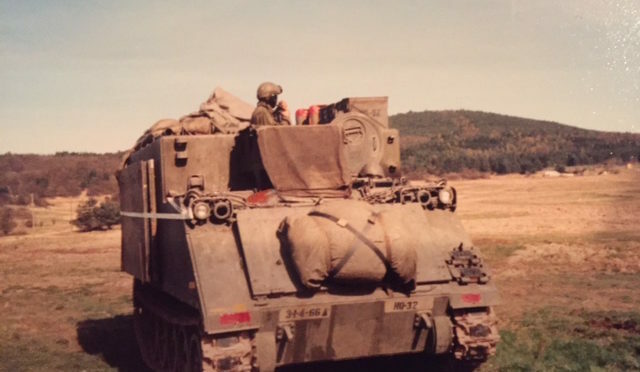 The other day while driving home from work, a word from my past came into focus while thinking about being stationed in the Federal Republic of Germany in the 1980s. That word is, “ENDEX,” meaning end of exercise. The Army has a very unique vocabulary that combines proper English, slang and acronyms to form powerful, succinct, abbreviated statements that get the message across with brevity. Clear, concise commands are critical in combat situations to understand and execute orders. ENDEX is one of those words clearly understood and usually met with tremendous approval. So what is ENDEX? To put it into context, after being in a field environment training for perhaps two, three or four weeks, this single command tells the complete formation the training exercise has ended. The command ceases all operations and begins recovery operations. Commanders and key leaders will then gather, conduct an After Action Review (AAR) and subordinate leaders and troops will begin executing the recovery and redeployment plan. All subordinate commands on the network acknowledge ENDEX and subsequently inform their formation and begin the next phase of the operation. The 53rd Regiment would like to learn about your glory day word that is unique to your military experience. Be heard! One must ask themselves, why would someone criticize this article? Just a recounting of facts … sad!